We are among the reputed organizations, highly engaged in offering optimum quality of Loading Unloading Services. The offered service is highly admired by our respectable clients as the personnel we provide are proficient enough to load and unload the goods in efficient manner. Our personnel make use of sophisticated tools and techniques in executing these services. Our personnel take care of complete safety while unloading and loading of the goods. 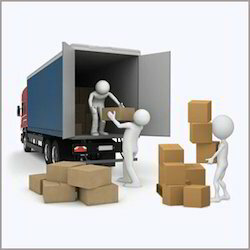 Established in the year 2012 at Gurgaon (Haryana, India), our company “Ncr Logistics & Relocation Services” is a Sole Proprietorship firm committed to offer most dependable Warehouse Services, Logistic Services, Transportation Services, Relocation Services, Packers And Movers Services, Household Shifting Services, Corporate Shifting Services, Office Relocation Services, etc. Our nimble team of skilled professionals and their extensive knowledge help us provide customers with flexible and highly reliable services. Offered services are rendered in compliance with set industry guidelines and safety of clients’ goods is given top most priority. Operational in both local areas and all across the nation, we have gathered huge client base. Our policy regarding packing and moving of consignments in timely manner help us in attaining complete client satisfaction. In order to execute these services with ease, we have experienced professional who hold vast experience in this domain. Offered services are greatly urged in the market, owing to their features like cost-effectiveness, timelines, reliability and client-focused approach.